Society has tricked us into thinking that women over a certain size should wear ugly dresses that reflect our grandmother's MuMu. Well ladies, that is no more. 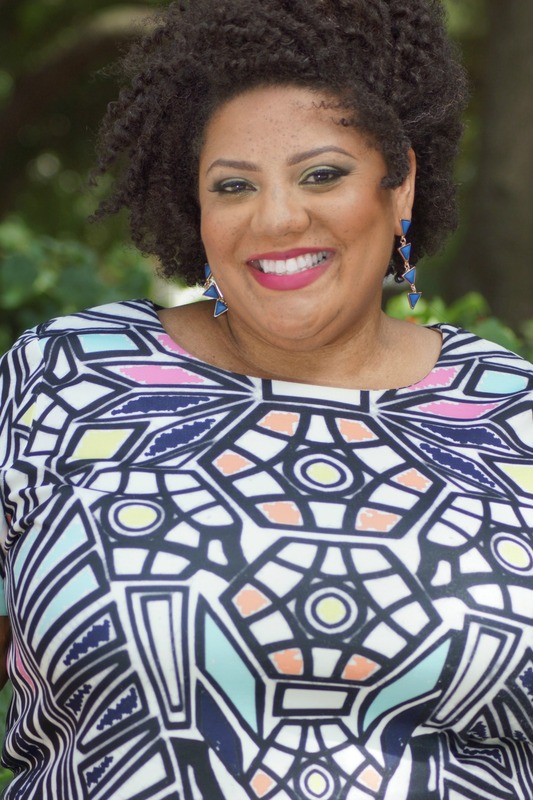 With brands like Lane Bryant, Ashley Stewart, Avenue, and Eloquii catering to the extended Plus-Sized woman, we are far from that stereotype. I know that coordinating sets or matching sets have earned a bad reputation in our community, but no more. The Coordinating Set will set you free and give you your total life. From Kimonos with matching shorts/pants to separate pieces in the same print to create a look, coordinates will give you the deliverance you have been waiting for. With the heat mode being on disrespectful, finding cute matching sets are easy solution. 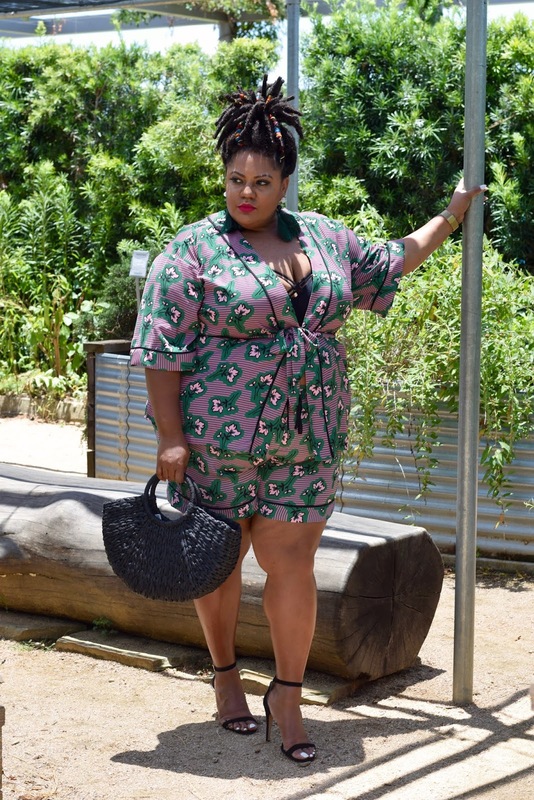 For this look, I wanted to stay cool so I wore the Floral Print Robe Top freely with the Elomi Bijou Flirt Bra in Black. Due to the flexiblity of the top, I chose to order a size 22/24 (I'm mainly a 24) as I wanted a fitted look and the option to wear it open as well. The lightness of the fabric is definitely going to be a favorite in this heat. As for the floral printed drawstring shorts, I wanted a looser fit, but the 26/28 wasn't available. That's the down side of being a bubble (extended plus-size). So my extended plus ladies, you are not alone in the struggle. 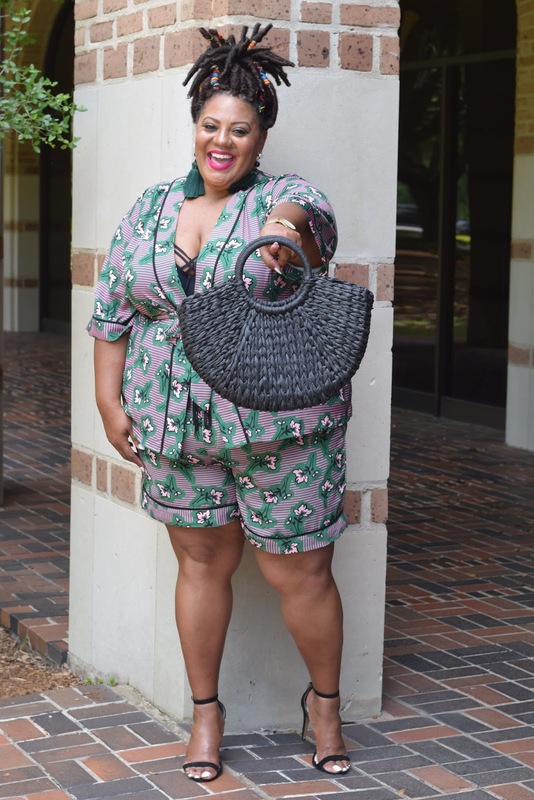 I would say personally that I am not sure why Eloquii chose to market the top in a 26/28 but not the bottoms. Are you ready to try a coordinating set this summer? If so please tag me on Facebook or Instagram using #therealsamplesize. You can also just send me an email. I would like to shoutout your style on the page. Until next time, Stay Beautiful and true to you.